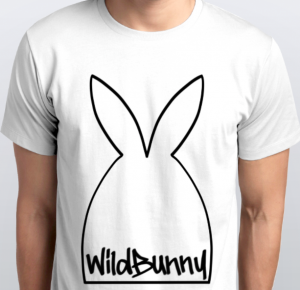 It’s about time that Wild Bunny Arts gave away one of her awesome hand printed t-shirts. In 2015, WildBunnyArts had to close her previous blogging business due to a stalker, and start again from scratch. She painted some shoes as a thank-you gift for a friend, and found that she not only had a talent but that talent was wanted. 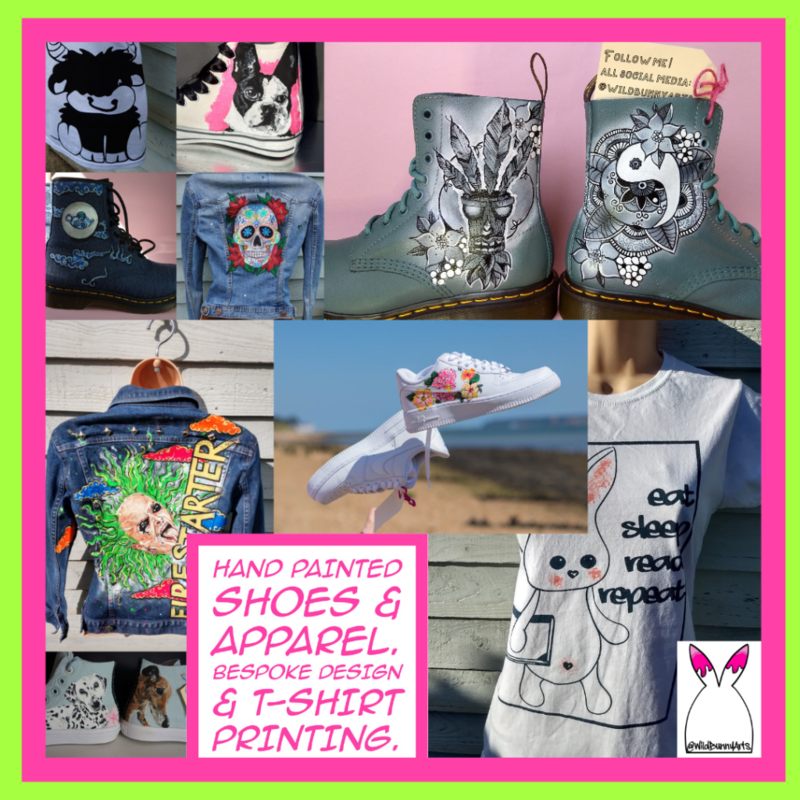 Since then, she has been commissioned to paint onto hundreds of pairs of shoes as well as jackets, bags and even the traditional art canvases. In 2018, she learned screen printing and digital design and now makes one-off special t-shirt designs for people, and prints them herself. One white t-shirt in your size – mens, ladies or kids – hand printed in black, red, navy or deep green ink. One packet of merch and a Cadbury’s cream egg, because of the arrival of spring. All you have to do is complete the tasks below, and sit back with your fingers crossed. Fab! You are awesome, thank you.